AUSTRALIA: French renewables developer Neoen said a frequency control ancillary services (FCAS) test at the 100MW Hornsdale 2 project in South Australia, passed "with flying colours". The programme between the Australian Energy Market Operator (AEMO), the Australian Renewable Energy Agency (Arena) and Neoen investigated if a wind project could provide grid stability services — usually performed by conventional generation plants. The test, a first of its kind to take place in Australia, was launched in August 2017. "The flexibility of the wind turbines at Hornsdale, developed by Siemens Gamesa, allows for rapid and accurate response to control signals from AEMO," Neoen explained. "The turbines deliver greater response precision, when compared to conventional generators, and provide an enhanced stabilisation of the electricity grid," it added. Neoen Australia managing director Franck Woitiez said an FCAS model is mutually beneficial for renewable companies providing frequency response, as well as bill payers. "On 14 January, when FCAS Regulation prices were forecast to reach A$9,000/MWh ($7,084/MWh) — compared with the typical A$20/MWh ($15.74/MWh) — Neoen bid additional capacity into the market from both Hornsdale 2 and the Hornsdale Power Reserve. "This brought the price down to below A$300/MWh ($236/MWh)," said Woitiez. The Hornsdale Power Reserve is the 100MW/129MWh battery system, provided by Tesla in July 2017, attached to the wind project complex. "During this time, the South Australian market saw an approximate saving of A$3.1 million ($2.44 million) due to this increased competition," Woitiez said. 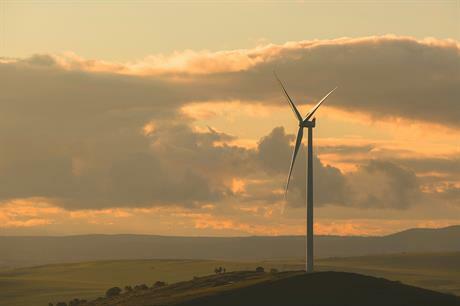 This month, Arena said it would begin a second FCAS test at a wind project in Tasmania, to investigate if it is a financially sustainable business model. Neoen said of its test, the revenue stream from FCAS more than offset losses accrued by the energy production restrictions required to deliver the control services. "The initiative provides an economically viable and sustainable model for the Australian energy system," the developer said.